Step-1: Confirmation by e-mail that your payment has been received by Solid State Audio. Step-2: We will inform you by e-mail your order is made ready for transport. Step-3: We will inform you by e-mail your order is shipped out and send you the tracking number which can be used to follow your order. 1) We accept a bank transfer or international bank transfer using BIC/IBAN/SWIFT (safest method of payment) ; bank details will be sent to you by e-mail after we have recieved your order. Solid State Audio does not accept credit-card payments. But it is possible to pay with a credit-card through PayPal. Solid State Audio only stores address information on our server. We do not store sensitive data like credit-card numbers or bank account numbers on our server. Address data that is stored at our server is very well protected. In principle no, because Solid State Audio is a webshop only. Please understand that the webshop concept makes it possible to offer you lower prices and a large products program to choose from. You can send us an e-mail at info@solidstate-audio.com if you are interested in a non-listed product. Our program is much larger than what is displayed on this website. By default we use our shipping agent DPD to deliver your order. However we will always choose the best shipping method available for your order. All orders send by Solid State Audio wiil be sent registered and insured. Solid State Audio takes great care in packaging your order, if needed shipments will be custom fortified by us. All products offered at Solid State Audio are brand new / factory fresh / original products and come in their original factory packaging, unless stated otherwise on our website. Because Solid State Audio is a webshop company satisfied with lower margins and in the end we are able to win the initial loss back by higher volumes. But most important: we run an ultra sharp business keeping running costs at an absolute minimum. 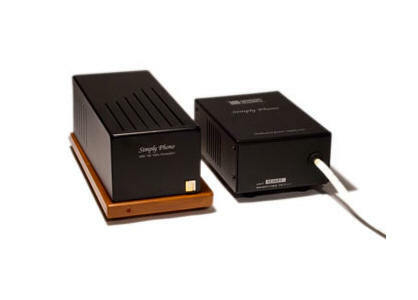 Solid State Audio in principle only sells products we want to support. But also note that our website is constantly updated with new products. If you feel we should list a particular product or brand on our website we invite you to mail us and share your views. We like to encourage audiophiles to listen, read, think and form their own opinions rather than rely on our advice or for that matter rely on audio reviews from well known magazines. However in some cases advice may be helpful and you can contact us at info@solidstate-audio.com for any questions you might have about the products we offer.